Accessibility in the home is more important than ever before, from the design of accessible kitchens through to the level access requirements in shower rooms. We at AKW have over 28 years of experience developing and designing bathrooms and kitchens and we are proud to share our knowledge and expertise. We are able to offer our CPDs as a free seminar run at your choice of location or at our Worcestershire showroom. Complete our contact form and we will then get in touch to arrange who, where and when. 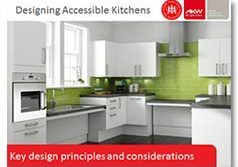 This CPD presentation focuses on key design principles and considerations to design an accessible kitchen. We walk you through step-by-step of how to put the individual client at the centre of the design process, giving an overview of what needs to be considered and emphasising that design must focus on use rather than space. This presentation focuses on delivering learning about how level access can be created in the bathroom to enable people with mobility needs to access showering area safely and freely. The presentation gives details about the benefits of creating level access with a wet room formers as well as shower trays and what key considerations need to be taken into account when specifying these solutions. 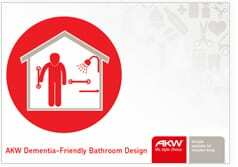 A presentation focussing on how a dementia-friendly bathroom is one where simple but careful consideration of design can reduce the barriers that people with dementia can face in carrying out daily living activities, greatly improving their safety and preserving their independence for as long as possible. Available at your choice of location or at our Worcestershire showroom – you can book a CPD event by completing the form here or contacting us on 0800 078 7051.